Marysia Reeve's Spring '19 collection is inspired by the warm, lazy days she and her family spent on Shelter Island. 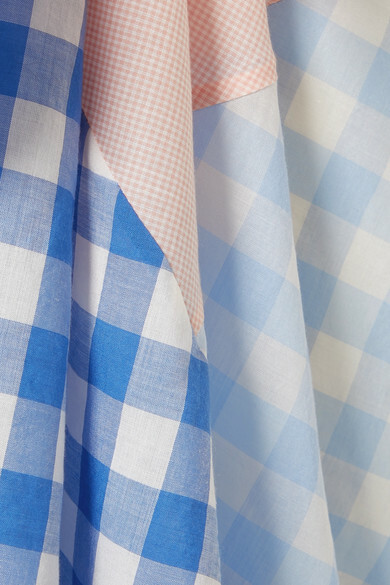 Named and modeled after the picnic blankets they never leave home without, this patchwork pareo is made from panels of Tencel and cotton-blend gingham. 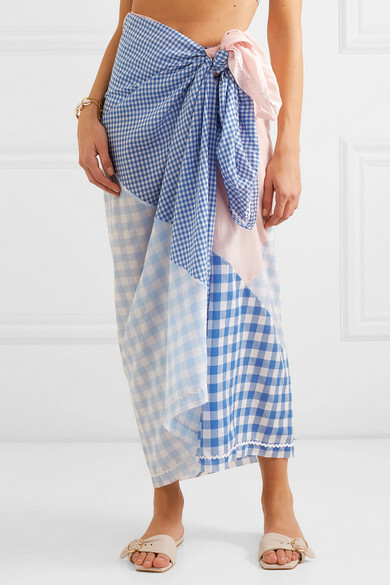 It's trimmed with rickrack and can be worn knotted at as a skirt or looped around your neck as a dress. Shown here with: Marysia Bikini top, Marysia Bikini briefs, Ulla Johnson Shoulder bag, Nanushka Slides, Tohum Bracelet, Tohum Bracelet, WALD Berlin Necklace.